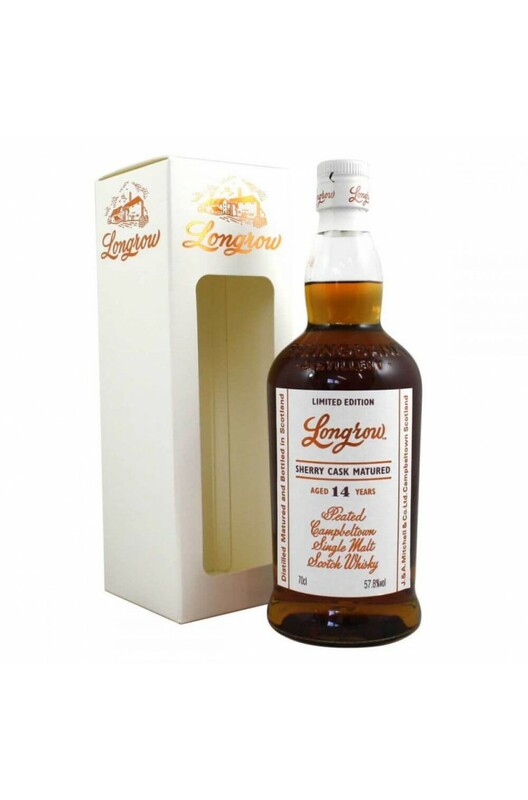 The Longrow 14 Year Old is a heavily peated single malt that has been matured entirely in Oloroso Sherry casks. Only 9,000 bottles released. STRICTLY LIMITED TO 1 BOTTLE PER CUSTOMER.